Most questions can be answered by reading through the instructions below. Please read this Time Timer Audible support page carefully before you contact your (school) supplier. Thank you in advance. 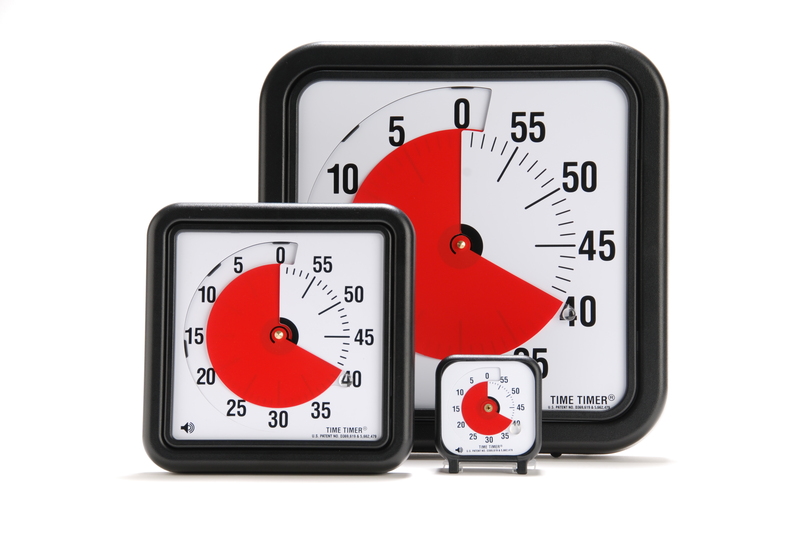 All Time Timer products have a warranty of 1 year from date of purchase. If you believe that the problem with your Time Timer is covered by the warranty, we request you to contact your (school) supplier. Their contact details will be mentioned on your invoice. For your information: The Time Timer audible Large, Medium and Pocket operate on 1 AA alkaline battery. All products are delivered excluding the battery. We recommend using a new AA (alkaline) battery in your Time Timer. Step 1) Remove the battery cover at the rear. Step 2) Pull the ribbon gently out to the bottom of the Time Timer. Step 3) Place a new AA alkaline battery with the positive (+) side first. Step 4) Check if the ribbon is running freely underneath the battery. Check if the ribbon is not stuck between the poles and the battery. Step 5) Replace the battery cover. Step 3) Make sure that the ribbon is outside to the bottom of the Time Timer. Step 4) Place a new AA alkaline battery with the positive (+) side first. Step 5) Check if the ribbon is running freely underneath the battery. Check if the ribbon is not stuck between the poles and the battery. Step 6) Replace the battery cover. – Is the battery dead? Is the battery installed correctly? Make sure the battery is installed properly and / or replace it with a new AA Alkaline battery (see replacing the battery). – Is the movement of the red disc blocked by glue, paper clips, tape, etc.? Remove the respective object. 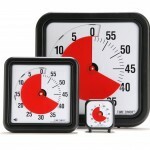 – Only for Time Timer Pocket: the red disk can only move when the clear lid is open. The lid serves as a standard. – Turn the red disk several times gently from 0 to 60 and back again to remove any dust particles. – Is the clear button of the red disk still in the right place? Sometimes the button slightly shifts affecting the proper working of the red disk. Repostion the button into its proper position. – Turn the red disk gently until the clear button is back on 0. – Slide the left side of the red disk to the right underneath the Timer face. – Set the red disk to the desired time. – First remove the battery from the Time Timer (see replacing the battery). – Turn the red disk to 10 minutes. – Carefully remove the clear button from the red disk. – Replace the clear button in the correct position on the clear end of the red disk. – Replace the battery (see placing the battery). – Is the battery dead or is it installed correctly? Make sure the battery is installed properly and / or replace it with a new AA Alkaline battery (see replacing the battery). 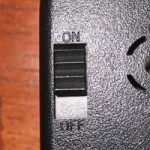 – Is the sound switched on? The switch is located at the rear of the Time Timer. 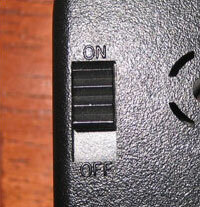 Set the switch in the “on” position. The centre brass knob is fixed to the mechanism. Loosening/removing the brass knob will damage the mechanism and will cause malfunctioning of the Time Timer device. The brass knob can only be loosened or removed using a lot of force. This is not covered by the warranty. Please send an email to info@robo-toys.com. Please state your name and address, type of Time Timer and which part you would like to receive. We will send the respective part as soon as possible.